Whimsical and fascinating, they provide a glimpse back in time with a hearty helping of adorable animals. Please SHARE these incredible vintage photographs from the 1900s with everyone you know! These images of bulldogs dressed as humans are from 1905, by Tommy Atkins. American photographer Harry Whittier Frees took these novelty photographs back in 1914. His unique works were featured on postcards and in books, and remain collectibles. Other animals became the stars of vintage, funny photographs. Pictured is Fay Webb with her pet goose, 1925. This was photo was taken at Langford, Somerset, February 1933. 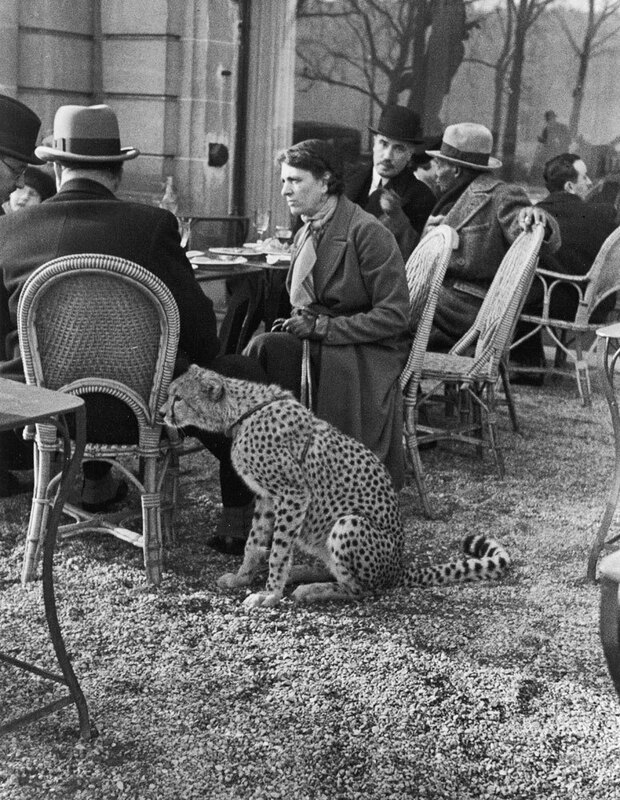 Some animals were even considered beloved dinner guests. Or helped recreate classic fairytales. Some sheep even got to ride in sidecars. While others just enjoyed some affection while wearing a snazzy pair of frames. Pictured is Bud, the first dog to cross the United States in an automobile in 1903. A German army dog wears binoculars, a hat and glasses, 1916. A truly brave fire dog by Leslie Jones, 1928. Poodles are a girl's best friend. A woman lets her dog take the wheel, 1930. Quite the smashing lad, by Leslie Jones, circa 1920s. Won't you join us for a ride? 1933. The lady is a tramp, 1950. Fearsome bulldog with a hat, by Leslie Jones, between 1934-1956. Two bulldogs tie the knot, 1935. Just having a drink, circa 1950. Please SHARE these incredible photographs of pets dressed and behaving like people!